Bernal, Ana, Ed. 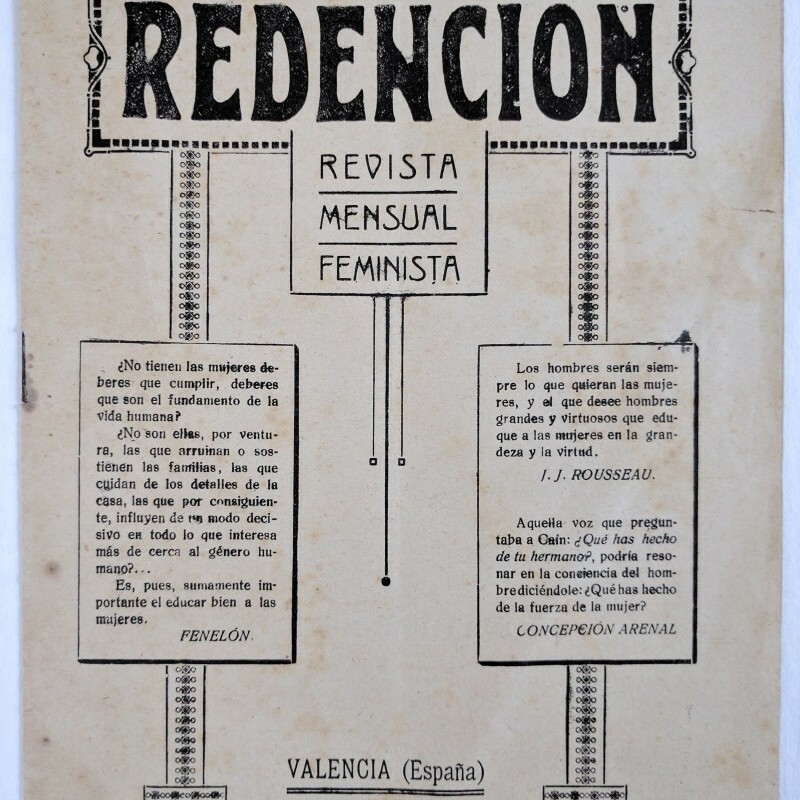 Redención: Revista Mensual Feminista. Año III, Núm. 18 (Febrero 1917). Valencia, Spain: N.p., 1917. 8vo, 12 pp., in center of gathering one unrelated leaf bound in out of sequence, numbered 41-44; stapled self-wrapper, pages creased, small closed tear to fore edge of front wrapper. Single issue of the suffragist periodical with letters to the editor and short articles discussing cultural and political issues related to women’s rights. Although the publication ran from at least 1915-1922 and is known to scholars (and discussed in The Woman Citizen, Vol. IV, No. 33 [Mar. 6, 1920]), it is seemingly unrecorded in OCLC. 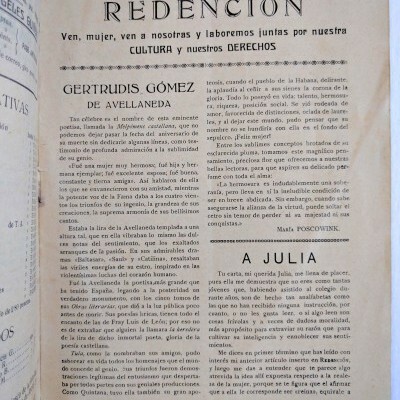 A private library, Biblioteca de Mujeres de Madrid, claims to have the single copy.